Albumen print from glass negative. August 1864. 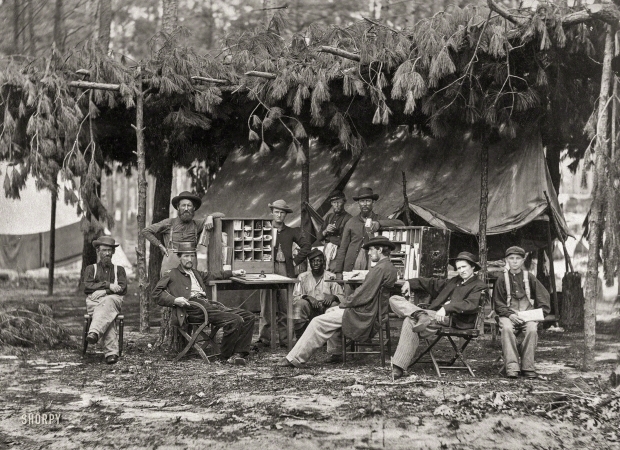 "Camp of Chief Ambulance Officer, 9th Army Corps, in front of Petersburg, Virginia."